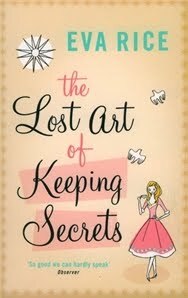 The Lost Art of Keeping Secrets is set in and around London in the mid 1950’s and tells the story of eighteen-year-old Penelope Wallace of Magna Milton Hall. Penelope and her family are part of the impoverished gentry: they live in an imposing mansion that dates back to the Middle Ages, but since Mr Wallace’s death in WW2 they have had absolutely no money to stop its growing dilapidation. The novel opens when Penelope meets another girl, Charlotte, “one afternoon in London while waiting for a bus”. The stylish and eccentric Charlotte invites Penelope to share a cab with her, and soon thereafter begs her to accompany her to her Aunt Clare’s house for tea. The two begin an immediate friendship based on their similar outlook and mutual love of American pop singer Johnnie Ray. Charlotte also introduced Penelope to her cousin Harry, a magician to whom there’s more than meets the eye. It’s almost impossible to refrain from comparing The Lost Art of Keeping Secrets to Dodie Smith’s I Capture the Castle: Magna Milton is reminiscent of Cassandra’s decrepit castle, and in addition to this there’s something of Cassandra in Penelope herself. I think both novels are ones in which how much you like the narrator’s voice can make or break the whole thing for you – happily for me, I absolutely loved Penelope. Also, as much as this story takes advantage of the romance of living in an ancient, semi-ruined house, it also acknowledges its dark side: a place like Magna can be like a yoke, pulling people down. In addition to I Capture the Castle, Eva Rice’s writing put me in mind of other early to mid twentieth-century novels such as The Brontës Went to Woolsworth and Westwood. Having said this, The Lost Art of Keeping Secrets is very much its own thing. One of the things it does best is capture all the momentous cultural changes that have its roots in the 1950’s: the birth of rock and roll music with Johnnie Ray and Elvis Presley’s early days; the Teddy Boy subculture and its aesthetic and social aspects; the emergence of the concept of a teenager; and the role pop music played in giving girls like Penelope and Charlotte a sanctioned way of expressing desires that would otherwise be unspeakable. She had quite the reverse effect on me that had the Alicias and Susans and Jennifers of the debutant circle. With those girls, I felt myself diminish, sense my shadow growing smaller, my vision narrowing, until a great dread came over me that if I wasn’t careful, I would lose sight of every original thought I’d ever had. Charlotte, however, was all possibilities. She was the sort of person one reads about in novels yet rarely meets in real life, and if this was the beginning of the novel – well! I was pretty certain I wasn’t supposed to get out of the cab until we pulled up outside the mysterious Aunt Clare’s house for tea. Charlotte was one of those people who only ever found good in anything. Events that I had dreaded she had embraced with never-ending joie de vivre. She had also been working far harder than Inigo or I could ever dream of – the tips of her fingers were hard, like dried wax, from hammering the keys of Aunt Clare’s typewriter. Sometimes, she said, she felt herself typing in her sleep. She never complained, but more than that, she saw light in everything. She made light of all the right things, and she realised when she shouldn’t, which is one of the rarest gifts I ever knew in anyone. There’s an excepto-girlish undercurrent to that first excerpt that I’m less than happy with, but other than that, I absolutely love these two paragraphs. Some of you might be thinking that Charlotte sounds suspiciously like a manic pixie dream girl, and if so I wouldn’t necessarily argue with you. But as I have tried to explain in the past, I’m actually extremely drawn to stories about how we sometimes idealise other people; about how sometimes someone comes to represent “all possibilities” for us; comes to show us the way to a previously unsuspected world full of colour and beauty and excitement. I don’t think feeling this way towards another person is necessarily oppressive – not as long as we recognise that they’re a human being whose existence goes far beyond the ways in which they have enriched our lives. The one thing that bothers me about classic manic pixie dream girl stories is that the person doing the longing, the dreaming and the idealising is invariably male. The Lost Art of Keeping Secrets breaks that pattern, and I absolutely love it for it. Penelope’s subjectivity, her dreams and desires, are at the heart of the story, and the way she idealises Charlotte and longs for Johnnie Ray is the perfect embodiment of what I was talking about. I also loved that the novel takes these two girls’ feelings seriously insofar as they’re serious to them, no matter how silly they may seem. It treats the dreams and aspirations of two teenage girls with the respect they merit. A good example of this is the description of the night the two go see Johnny Ray at the Palladium, in what was probably one of the very first rock concerts in London: Eva Rice perfectly captures how much the concert meant to them, how drawn to Johnnie Ray the girls feel, how much the whole thing is about being young and alive and in love, even if for much of the book it’s with a rock star. I’m no longer eighteen, but I’ve been in love with music for long enough that this all felt extremely familiar to me. Much of what The Lost Art of Keeping Secrets addresses would probably fall under the heading “first world problems”, but that doesn’t make it frivolous or rob the novel of its immense charm. I found it a delightful read and a perfect comfort book. Side note: The Lost Art of Keeping Secrets had been on my TBR list for a long time thanks to Claire’s review from a few years ago, but what made me pick it up at last was finding out that the author, Eva Rice, is the same person as musician Amanda Applewood, whose album “I Love Boys” was one of my favourites of last year. I suppose it all makes sense, considering how much there is about music in this book. I’ll use this opportunity to once again recommend her music. You can stream a couple of her songs if you follow this link. The garden sat so still in front of us, listening carefully to every word, I thought. As the grey dawn began to break, I ran up to the house and put Johnnie Ray on again, throwing open the ballroom windows so that the cold air was suddenly full of that voice, and America, and we all sat perfectly still, not speaking, barely daring to breathe, so it seemed to me. I trembled on the bench and clamped my teeth together to stop them from chattering. It felt as if there were sparks coming out of my fingertips; everything was most reverently alive. My head buzzed with caffeine; I felt dizzy from lack of sleep and the coldness of the sharp, frosty morning in my smoky lungs. When the song finished, two and a half minutes later, something was different. I think we all felt it separately, each of us alone with out own little reasons why the balance of the earth had shifted. There were boys there too (as there were whenever there was pop music), but it was the girls who had the power, the girls who defined the atmosphere that night, and we jittered for Johnnie’s arrival with the blissful, magical urgency that one can only feel when one is young and modern and full of desire. Desire! It was the only word for it. I completely agree with your comments on the manic pixie dream girl. I think it's not necessarily the representation; it's how the viewer/reader reacts to it. We do tend to idealize other people for some reason. The book sounds wonderful - I love to read about that time period. I hadn't heard of this book before, but you make some excellent points on it. I had not heard much about the manic pixie dream girl phenomenon, but would love to explore that in a little more depth. I also agree with Kathy that as humans, it's easy to idealize others to a huge degree, even when we are not trying to do so. Very interesting and thoughtful review today, Ana. I absolutely adore this book. How lovely to read another review on it :) Its not very well known. Of course your review was far more intelligent and well written than mine was lol. I'm going to link up your review at the end of mine. You've mentioned the excepto-girl, but was thinking more about the Manic Pixie Dream Girl (only this time she's helping another girl find the fun side of life!). Trisha: To me the problem is the pattern all those individual stories form when put together. I love many of them, but I don't like how they tell us that girls are always objects and never subjects. I really love that this one doesn't go for that. Kathy: Yes, we do. I think it's only human, though, and I'm interested in stories that explore it. Zibilee: Yes, it is easy, but I don't think it has to be a bad thing as long as we don't rob those we idealise of their full humanity. And this story definitely doesn't. 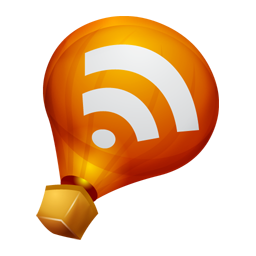 Amy: I added your link as well - sorry that I missed it before! Your review is great, by the way. I would love to be friends with Charlotte and Penelope too. Alex: Yes, me too, which is why I mentioned that also :P I don't think that's necessarily a bad thing, though, especially in a novel that has a girl as the subject. It was nice to find a story that broke the pattern in this way. Wait--Amanda Applewood and Eva Rice are the same person??? Or did I misunderstand? That's just wild. Anyway, this book sounds completely wonderful!!! So many things you said made fall in love with it before even reading it! Like this: "I also loved that the novel takes these two girls’ feelings seriously insofar as they’re serious to them, no matter how silly they may seem. It treats the dreams and aspirations of two teenage girls with the respect they merit." And this: "Much of what The Lost Art of Keeping Secrets addresses would probably fall under the heading “first world problems”, but that doesn’t make it frivolous or rob the novel of its immense charm. I found it a delightful read and a perfect comfort book." Oh my...I want this so much! This sounds quite charming, in its own way; I'm definitely intrigued. And thanks for the link to Amanda Applewood's music; I must have missed your earlier mention of it, but I certainly understand why you like it so much! aw this sounds like a really fun book to me. This sounds great—thanks for the recommendation! I loved this book! I was thinking that I'd never actually reviewed it, until I saw the link (thanks!) - I think I wrote a very short review. You're right, it's impossible not to think about I Capture the Castle, and also the Mitfords. And yet Charlotte is a wonderfully unique creation. I had no idea she sang too - I had a listen and really enjoyed it, thanks! Lovely review, I think I would like to read this a lot. The musical connotations and the realtionship between these girls sounds like something that I would love. Before you even said it I was thinking this sounds like I Capture the Castle a book I was completely mesmerised by as a teenager. Even if this was only half as good as that I'm up for reading it. Definitely going on the list! I always think this is a Maggie O'Farrell book, and look under her name for it at the library. For some reason! Something about the title is Maggie O'Farrelly to me. But it sounds really good! Just the thing to get when I go to the library tomorrow. Like you, I thought of I Capture the Castle immediately. Loved your review of this and will be on the lookout for it. I know what you are saying about excepto-girls, etc., but still...I have (very occasionally) met girls like Charlotte - people who are so irreducibly themselves that they make everyone around them more real and alive. It's a fascinating character trait...feels like magic. Thoughtful review, Ana, that contrasts with my superficial one! I need to read more about the MPDG concept because I find it reductive in how vilified many of the subjects become, especially by other females (Zooey Deschanel, anyone? I love her character Jess in New Girl and think that Zooey is quirky and plays that character well rather than being a stock one). Simon: I really need to get around to reading the Mitfords - talk about embarrassing reading gaps :P I'm glad you enjoyed the songs! I really recommend the whole album. Tasha: I wasn't a fan of that movie, for many reasons, but trust me that this story is nothing like it. Caroline: Those were the best things. It made me miss being eighteen and having an exciting new friend who shared all sorts of things with me. Jessica: I think you'll enjoy it a lot! Iris: Yes I did ;) You so need to read this! Jenny: I still haven't read Maggie O'Farrell! But I completely understand getting two authors mixed up in your head for no apparent reason. Mumsy: Yes, I agree, and I DO want to read stories about girls like that. I loved that this time it was another girl who fell under her spell. This one caught my eye over at Amazon the other day but I refrained from purchasing - based on your review though I think I better go take another look. It sounds to me like this book is about friendship between girls, and realistically portrayed too. There are all kinds of friendships, and not enough of them are portrayed in fiction, I find, it's only a few kinds. This books sounds interesting, and on my list it goes! I've read I Capture the Castle, so I will be interested to see if I catch the same things you do in reading this. Thanks for reviewing this, Nymeth! Thank you, thank you and thank you again... I was thrilled and delighted to stumble across your lovely review of my book... Gosh, it makes it all worthwhile. This was the very first book I read this year and it was a great way to start off the reading year. This book is charming, and I love what you say about stories about how we idealise other people. Stories about that are interesting and I love that this novel sort of turns it on its head with a friendship. The friendship in this book is much more interesting than the love interest. You don't often get to read about great female friendships and I loved that about this book. I loved this book the first time that I read it. It was so much fun. I went to reread it last year and it just didn't click as much with me, but it could be just a right book / right time thing as well. This was a charming novel, wasn't it? :) I think it deserves to get more readers. I still haven't read I Capture the Castle but I've heard that it's pretty similar to this one. I should probably bump that up the TBR pile since I already have a copy.